First shows of 2017 announced! 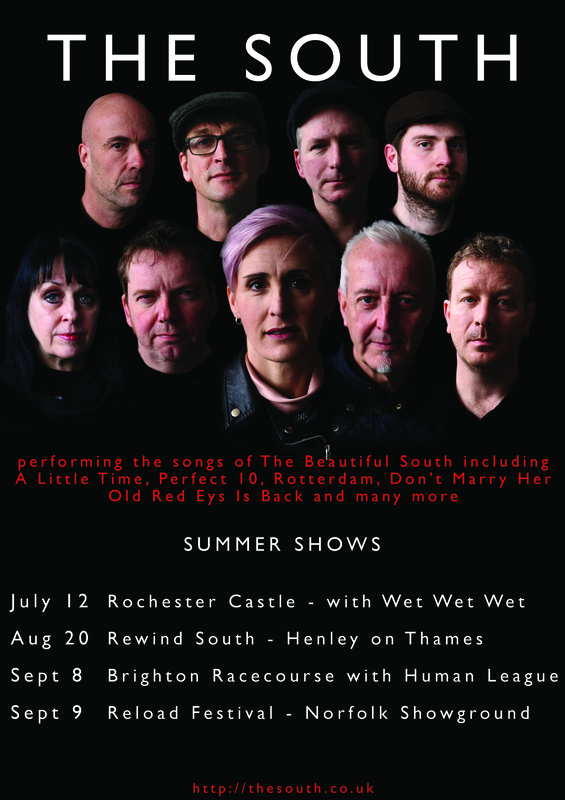 New singer of The South, Gaz Birtles and new keyboard player, Andy Price have been cramming lyrics and chords to try and get The South show up to its former level. The South announcement Feb 2 2017…. 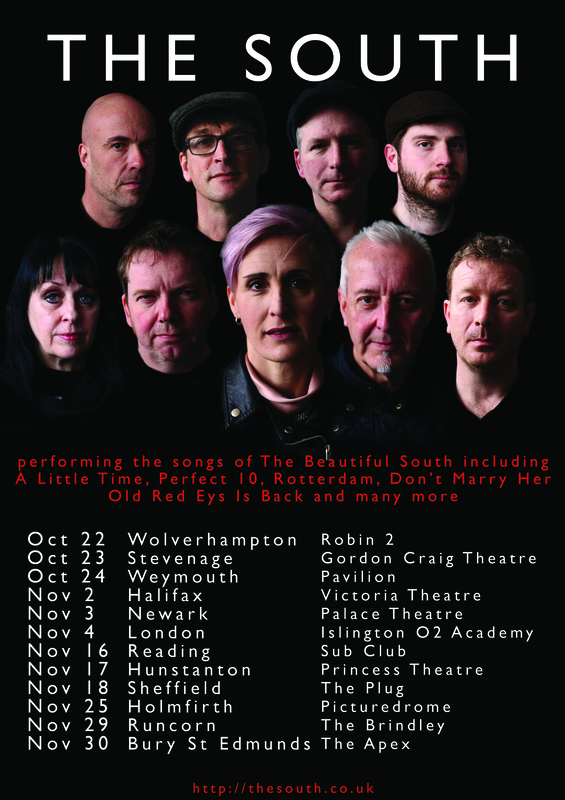 The South are sorry to have to announce that at the end of December 2016, after many years of playing and performing with The Housemartins, The Beautiful South and The South, singer Dave Hemingway has decided the time has come for him to retire from the live performance stage for a while. We know that he will be missed as much by all of the people who followed and enjoyed his long career as he will by the rest of us in The South. Sadly, also much missed, will be lifelong keyboard maestro with The Beautiful South and The South, Damon Butcher, who has also decided to step down from performing with The South. Please join us in wishing them both all the best in whatever they do in the future. We are happy to say that original Beautiful South sax player, Gaz Birtles, has agreed to take on the mantle of the male singer in the band! Many people know Gaz always had a second life as a singer songwriter in his own bands in Leicester, so it was an obvious first choice to take on the role and for him to move sideways across the stage. CHATHAM BRITANNIA THEATRE CLOSED DOWN! If you purchased tickets for the Chatham show, they are still valid for this show. Or you can get a refund from your ticket supplier. Full list of 2016 gigs announced! Our only East Yorkshire show this summer will be at Cottingham Civic Hall on July 17th 2016.